Several Strykers rear-ended each other in Lithuania. Here’s the damage count. Four Strykers smashed into each other during a road march through Lithuania on Thursday, a U.S. Army Europe spokeswoman has confirmed to Army Times. The vehicles, from 2nd Squadron, 2nd Cavalry Regiment, were driving along Highway 130, near Prienai, when the collision occurred, according to Col. Kathleen Turner. “Thirteen U.S. Army Soldiers were transported to local hospitals by host nation ground ambulances for evaluation of injuries,” she said. Their injuries were minor, Turner added, and there were no reported injuries to civilians or damage to civilian vehicles. 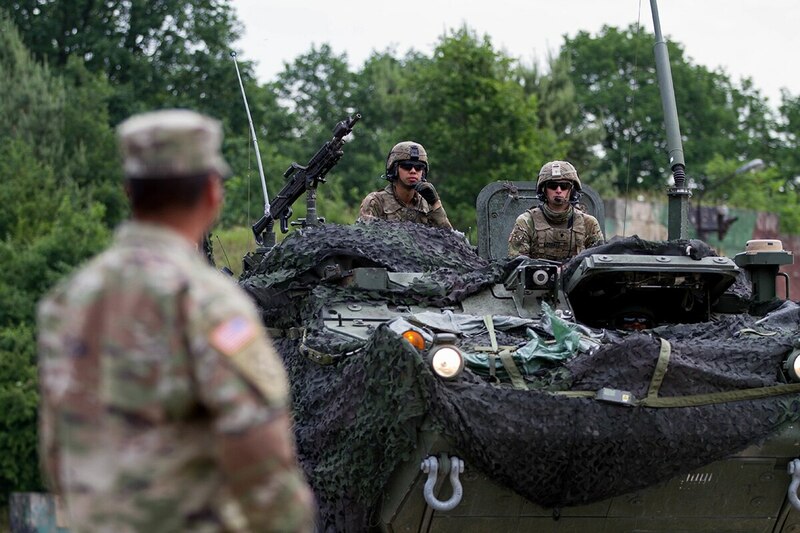 The Vilseck, Germany-based unit is in Lithuania as part of Saber Strike, an annual, multinational exercise held in the Baltic countries and Poland for roughly a month at the beginning of summer. The 3rd Cavalry Regiment, the 101st Airborne Division Sustainment Brigade and the 4th Combat Aviation Brigade will deploy in coming months. An investigation into the cause of the accident is underway, Turner said.